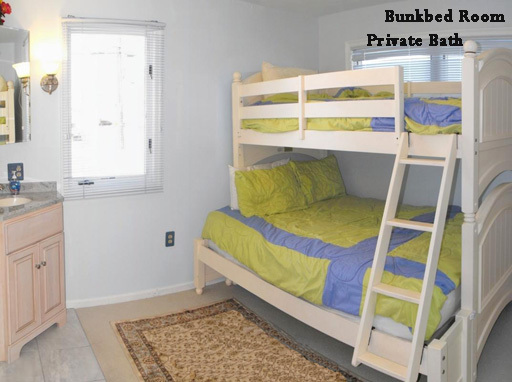 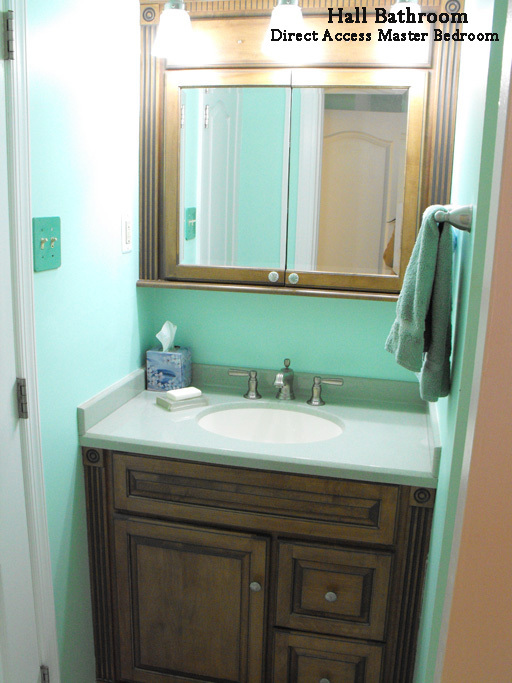 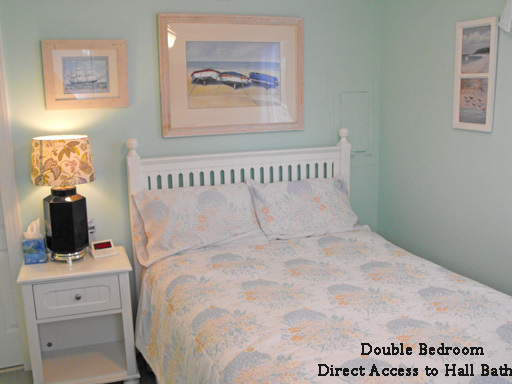 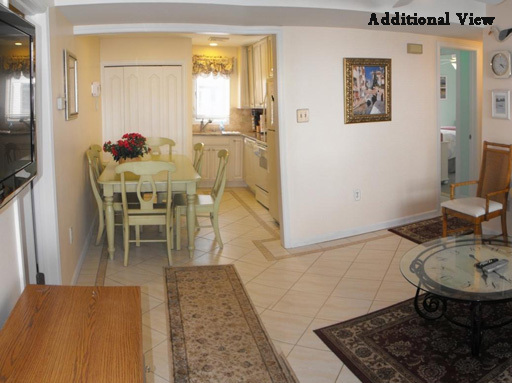 This vacation rental property sleeps 8 with 3 bedrooms and 2 baths. 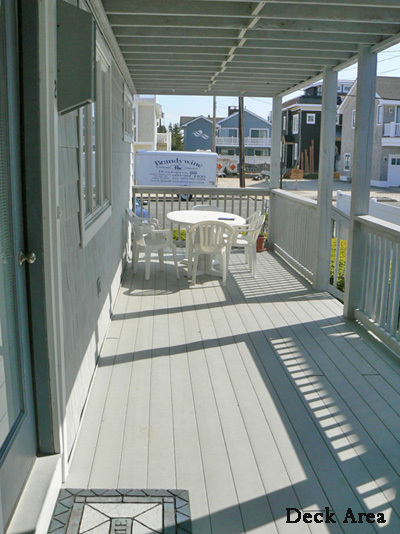 Great first floor unit with kitchen having granite kitchen counter tops, personal washer and dryer, terestone bathrooms with under mounted washbowls. 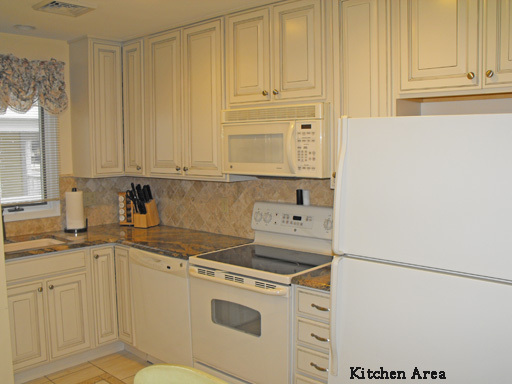 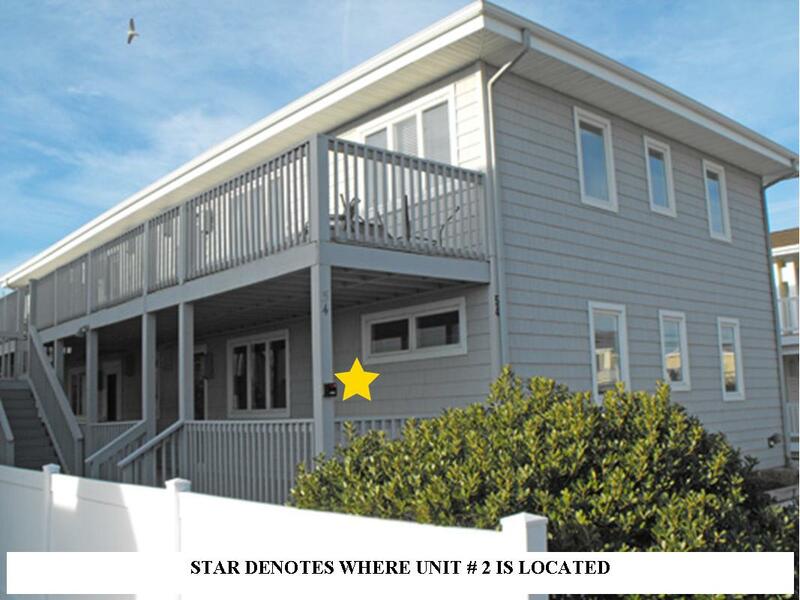 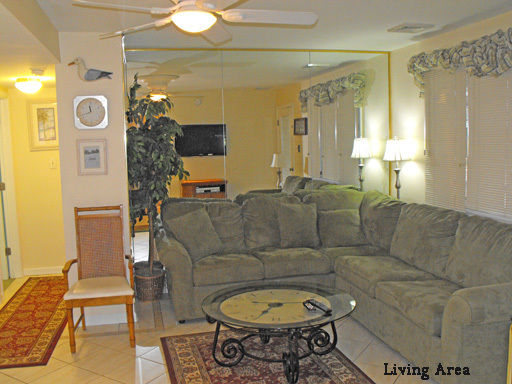 This unit is located in the second building back from the beach with 3 bedrooms and 2 baths. 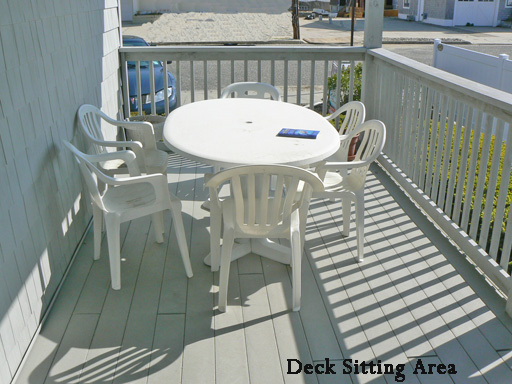 From the deck area you enter into the living room. 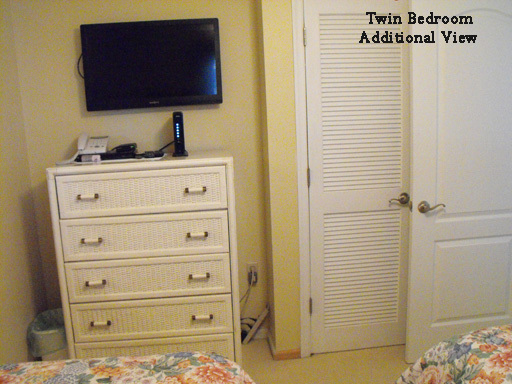 To the left is a bedroom with 2 twin beds. 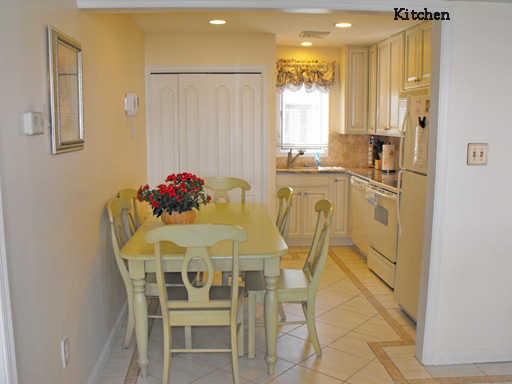 Directly ahead is the eat in kitchen. 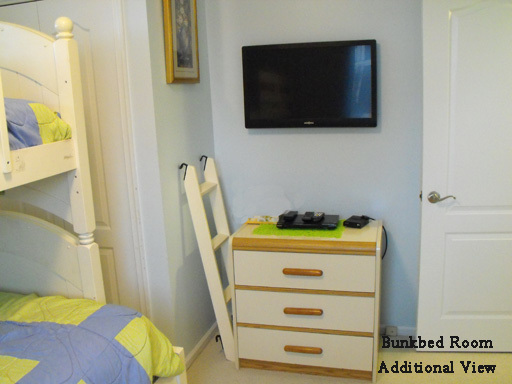 Down the hallway you will find 2 bedrooms...one with a double bed and TV and VCR/DVD combination and one with a set of bunk beds with the bottom bunk being a double bed size. 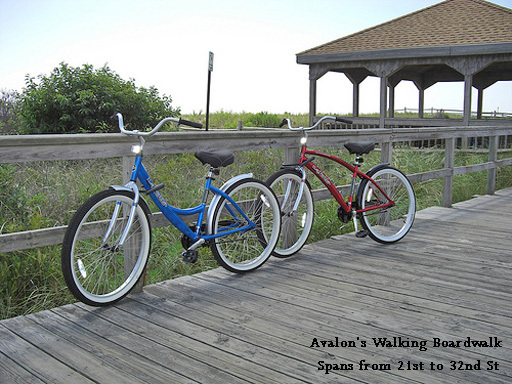 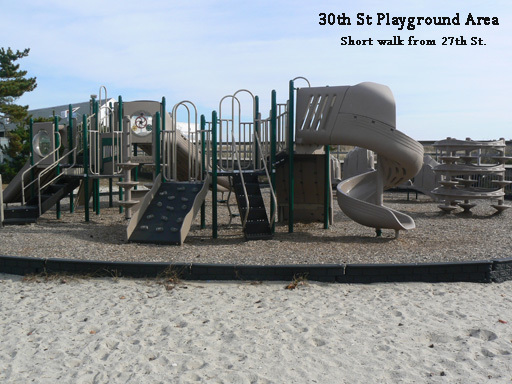 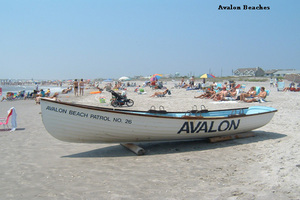 The Avalon Boardwalk extends from 21st to 32nd Street and is wonderful for those who enjoy walking in the morning or evening as there are only 3 shops on it...pizza, ice cream/sandwich and an arcade. 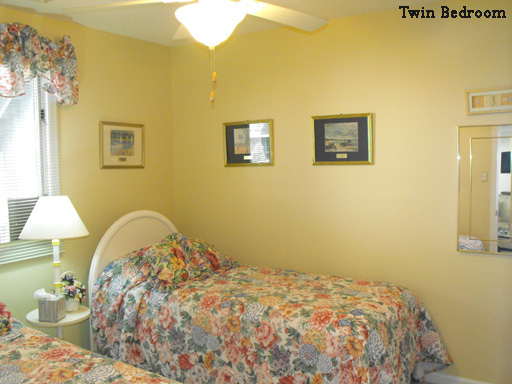 A terrific home to truly make a memorable vacation!